Top-Rated Sellersportsjeweler consistently earns high ratings from buyers thanks to fast shipping and excellent service. Premium Sellersportsjeweler has been a Platinum member on Bonanza since March 31, 2015. We offer a 14 day return or exchange policy (excluding shipping charges) for all stock items that have not been damaged, or modified in any way. All items for return must be in perfect condition. Items that have been damaged in shipment must be returned immediately and a new item will be sent out. The buyer is responsible for all return shipping costs. A tracking number from the buyer is required for all returns. After 14 days up to a period of 30 days from the day the item is shipped, a 15% restocking fee will be deducted from the refund. All special orders, custom orders and items that have been modified such as ring sizing cannot be returned or exchanged. 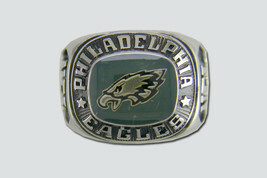 Philadelphia Eagles Team Ring. 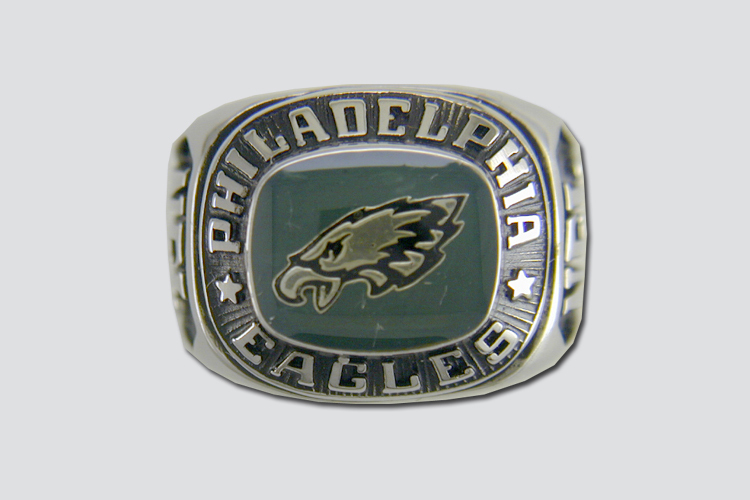 Proudly display your team spirit with this unique Philadelphia Eagles ring. Produced by renowned ring maker Balfour Sports, each ring is handcrafted and lavishly plated. 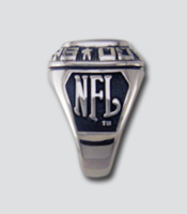 The top of the ring features the famous team logo, circled by the team name in antiqued letters. The sides of the shank are adorned with league logos.